What’s So Spectacular about TheLotter? We want convenience, fast, fun and easy things. Online lotteries have all of the checkboxes marked. Naturally, some online operators do a much better job than others. 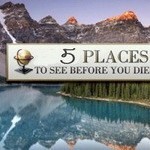 Websites like TheLotter have a lot to offer and others could actually learn from such opportunities. So what’s so spectacular about TheLotter? We’ve already written about it and fans seem to be enjoying the opportunity immensely. If you’re still wondering, here are several ways in which TheLotter experience is superior and how it could be used to inspire others. About to start your own online lottery agent? Thinking about joining one? Well, here are six of the best TheLotter accomplishments/unique features you can get inspired by. That’s right, if you get your lottery cravings in the middle of the night and you can’t go back to sleep before buying a ticket, TheLotter will have the ideal opportunity for you. This is a 24/7 global lottery ticket buying opportunity. 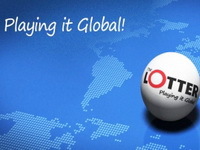 You can choose among more than 40 different lottery games from 20 countries around the world. The picks include popular games like US Mega Millions, PowerBall and EuroMillions. If you aren’t digging those opportunities, there’s a huge catalog of additional options. All that you have to do is go online, register an account and start purchasing. That’s it! You’ll soon get a copy of the ticket that has been bought for you, helping you rest assured that you’re going to be in for the upcoming draw. TheLotter is unsurpassed when it comes to the number of options that registered members can choose among. 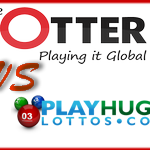 Very few online lottery agents are capable of doing the same and TheLotter seems to be setting the standards. The diversity is so great that you may actually dedicate half an hour to sitting down, scratching your head and wondering what to choose. But be careful – the diversity could come with certain dangers. Having so many lucrative options to choose among will potentially lure you to gamble away. If you don’t have the willpower and you find it impossible to turn opportunities down, chances are that you’ll get a ticket after a ticket, after a ticket. On top of giving its members a chance to buy just about every lottery ticket imaginable (with a few exceptions), TheLotter will also provide detailed results for nearly 80 lotteries. Don’t worry if you’ve missed the draw – you’ll simply have to log online and figure out if you’re one of the lucky winners. Information about the lottery results is available from the homepage. This information is available in 14 languages and people that aren’t that familiar with the specifics of Shakespeare’s language don’t have to worry about misunderstanding anything. The abundance is a great characteristic of TheLotter. On top of having easy shopping options, it features tons of information that can draw a big number of lottery enthusiasts to the website. Who doesn’t Like a Good Promotion? We have to be fair with this one – many online lottery agents do have promotions and discounts for their members. TheLotter, however, does an excellent job in terms of providing perks and keeping its registered members hooked. Frequent players can benefit from cash back options. Guess you don’t get such opportunities if you buy lottery tickets from the local gas station, right? There’s also a VIP program that awards VIP points for the money that people spend on purchasing tickets through the platform. Depending on the number of points acquired, players could get up to 20 percent back on their lottery ticket purchases. Finally, there are stimuli for newcomers. The buy one, get one free promo gives the players a 100 percent refund on the first ticket that they buy through the agent. Periodical discounts and promotions are announced every now and then to keep the interest high. Anyone who does lotteries at least once a week has thought about options that will increase the odds of winning. We know that you have and we know that you’re certainly going to like such opportunities. To lure people like you into signing up, TheLotter has 12 syndicates that its members can choose among. The syndicate clubs include possibilities like US Mega Millions (systematic x9 numbers), US PowerBall (one number match guaranteed), UK EuroMillions (additional number match guaranteed), European EuroMillions (random selection) and Australia Saturday Lotto (systematic x9 numbers). Playing as a member of a syndicate will give you higher odds of winning because as a member, you’ll be sharing the cost with others and thus entering a bigger number of tickets in the game. Needless to say, prizes are shared in the way that expenses are. We’ve saved the best for last – let us talk about winning money through TheLotter. The agent has procedures for jackpots and for secondary winnings. If you happen to hit the jackpot, you’ll need to visit a local TheLotter office. There, you’ll get instructions about what it takes to collect the money. The local TheLotter agent will accompany you and make it easier for you to complete the process. All other money that you win is considered a secondary earning. Secondary earnings will be processed almost immediately. Usually, you’ll have the amount in your TheLotter account 24 hours after the lottery results have been announced. Withdrawing the money to your local bank account will take slightly longer due to processing time. So, what’s the lesson that we’ve learned from TheLotter experience? Diversity, good customer service, tons of information and fast award processing all pay off. These are just some of the reasons why this online agent has become incredibly popular and why others may find it somewhat difficult to replicate the success. 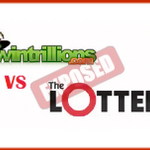 Battle of the Online Lotto Agents: WinTrillions VS TheLotter? You Decide!